The EUR/ USD currency pair keeps reaching new local minimums. Currently the price is testing the area where the 5th point of reference is formed. 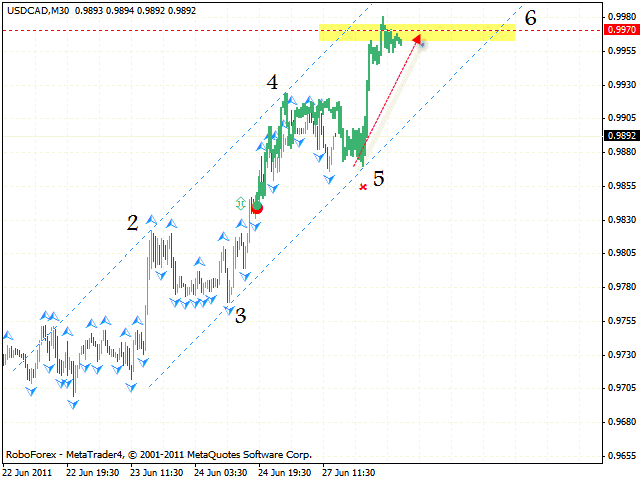 We should expect the price to start moving downwards from here with the target in the area of 1.3965. 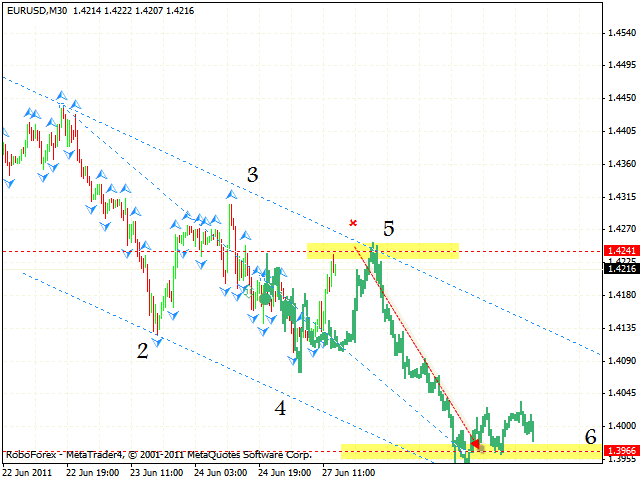 One can consider selling the pair with the tight stop above 1.4270. If the price breaks the descending channel’s upper border and leaves it, this case scenario will be cancelled. The GBP/USD currency pair is moving inside the descending pattern with the general target in the area of 1.5804. At the moment the price is testing the area where the 4th point of reference is formed. 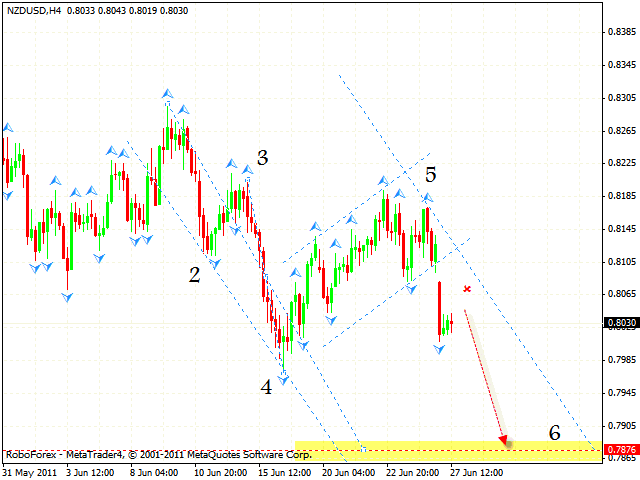 This area may be a starting point of the correction to the level of 1.6070. 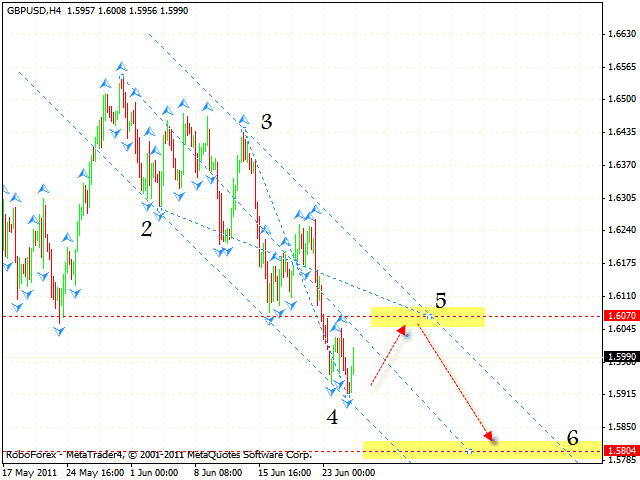 One can consider selling Pound with the tight stop near the descending channel’s upper border. But if the price breaks the channel and leaves it, this case scenario will be cancelled. Canadian Dollar is moving inside the rising channel with the target in the area of 0.9970. The price is testing the rising channel’s lower border, one can consider to buy the pair with the tight stop below 0.9850. If the price leaves the rising channel, this case scenario will be cancelled. New Zealand Dollar is moving according to the forecast, the closest target of the fall is the area of 0.7876. One can consider selling the NZD/USD currency pair with the tight stop above 0.8065, and don’t forget to move stop into the black as soon as possible. If the price breaks the descending channel’s upper border, this case scenario will be cancelled. Judging by the GOLD chart we may suppose that the price finally starts moving downwards. 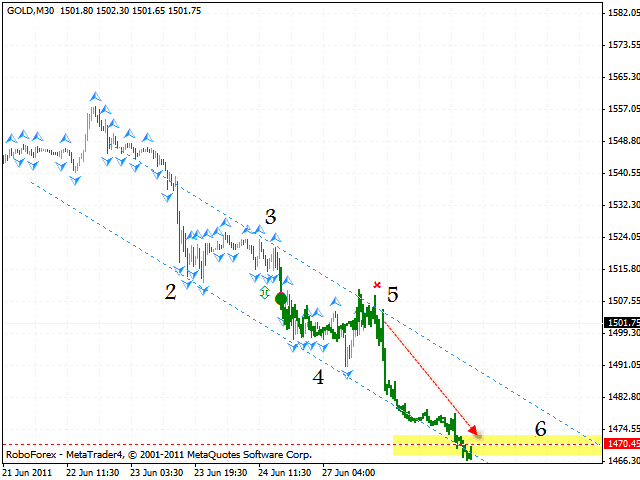 At the moment it is moving inside the descending pattern with the target in the area of 1470. The instrument is testing the descending channel’s upper border, one can try the tight stop sales. But if the price breaks the channel’s upper border and leaves it, this case scenario will be cancelled.